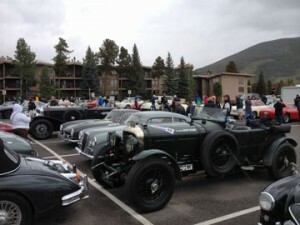 What happened this week in Summit County??? What’s up? Latest odds’n ends that occur between newsletters. 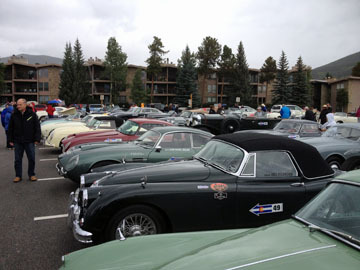 It rained, but that didn’t seem to bother these guys who drove in from Steamboat, many in open cars, on a tour of Colorado. 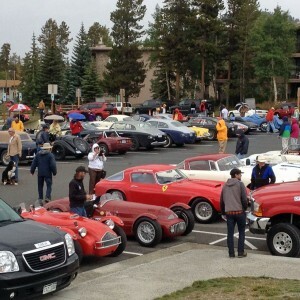 Classic Ferrari’s, Aston’s, MG’s, and any exotic classic sports car you can think of. They had lunch an left in more rain. While there will probably be more than last year’s 1236 closings by September 30, with only 112 closed so far this month, it’s gonna take 120 more closed in the next 10 days to match last September. 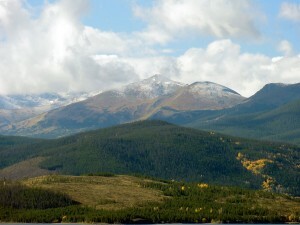 September 29… first real snow appears at Breck and behind A-Basin. The leaves are hanging on, but the snow is on the way…. 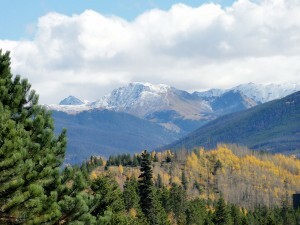 November 4 – A-Basin opened first, Loveland second and Copper expects to open next week…. and there are some in Denver who are already declaring the season a bust because there was only one area open for Halloween! Does anyone remember when it was a real treat to be able to ski on Veteran’s Day? In any event, there will be 3 White Ribbons of Death to test your nerve on next week. Enjoy. 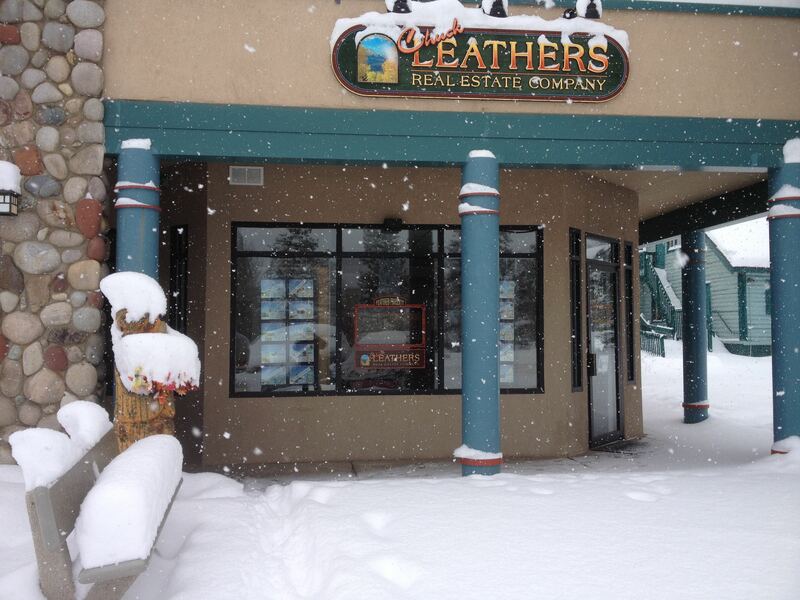 November 4 -Meanwhile… we are having a real old-fashioned year-end rush of real estate sales. It’s just like the mid- ’00’s with buyers rushing to get into something before Thanksgiving and Christmas. October sales increased by 21% over October of 2013 and total sales through October are up 7.5% over last year to date. 241 sales is above the 20 year average for October. This is the second month in 2014 when this has happened. All this with 10% fewer buyers than the 25 year average for the year to date. And the inventory is under 1300 for sale, the lowest number in maybe 20 years. 350 of those listings are land, so there are less than 1000 homes and condominiums for sale. So aren’t prices supposed to go up when this happens? Not much so far. after several weeks of great autumn weather with the leaves hanging on for a long time. It was warm and sunny on November 11 and overnight a foot or more of snow fell and kept coming. Ski areas opened that weekend and US Ski Team racers descended on Summit County. The nordic centers are open and the cold weather has kept the snow cover in place for Thanksgiving. THIS is is how it’s supposed to happen; warm and sunny then dumping snow. None of this cold, wet and nasty little sprinkles for two or three months before real snow begins. It appears from sales through mid-November that there will be about 1900 sales this year and that prices will rise by 7 to 10 percent. Maybe that will shake loose some sellers to supply the buyers roaming the streets looking for property to buy this month. Jeez – it’s like Night of the Living Dead out there. Except less gory. December 2 – Where have all the sellers gone??? 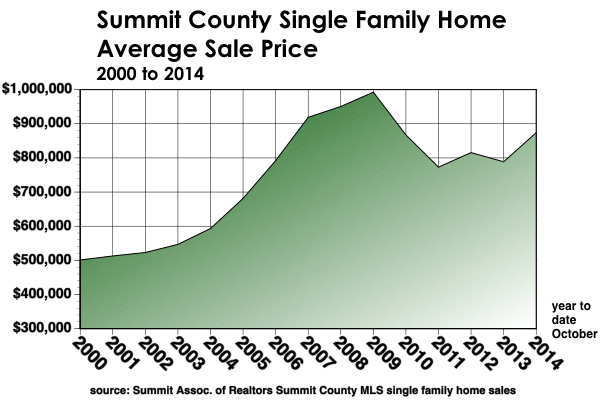 At 1160 properties for sale today, the Summit County inventory is the lowest it has been since early 2007 and nearly the lowest in our history. Consider that 350 of these are vacant lots and there is a real shortage of residential property for sale. This is because Summit County owners tend to hold their property for about 7 years. About 9000 owners bought at the price peak. Many have been holding for longer than normal while waiting for prices to return to the level where they bought. Average price has returned to within 10% of the peak years 2008 to 2010. By next July, the inventory will probably be back to 2500 for sale as prices get closer to the previous peak. But for now, there’s not much to sell. I’ve pointed this out before, but the numbers continue to get my attention. Owners routinely score 35 to 45 times higher for personal wealth than renters. $5400 in total household wealth for renters won’t even cover the deductable for an illness while owners have nearly $200,000 to draw on in that kind of emergency. As a landlord, I’m glad that so many people still rent, but as a Realtor, I feel bad for the huge number of folks who won’t ever take the leap to ownership and financial stability.